The first exon-skipping treatment for DMD was approved last year, but this is no time to rest on our laurels. We’re funding the development of next-generation treatments that may deliver better results for patients. One of our partners in this effort is Professor Matthew Wood of Oxford University. Prof. Wood and his team are working to advance the ‘next-generation’ of exon skipping technology to produce more dystrophin and offer improved treatment for DMD. We sat down with him for a quick Q+A on what has him excited about this line of research and what he hopes to achieve with this grant. Q: Tell us more about your research. Why is this ‘next-generation’ technology important? What is special about the approach you are taking? Our aim is to further develop exon skipping drugs to provide more effective therapies for Duchenne muscular dystrophy. Although first generation exon skipping drugs for DMD (such as Exondys 51) have been shown to restore dystrophin protein in multiple clinical trials, their delivery to muscle can likely be improved. In collaboration with Dr. Mike Gait in Cambridge, we have developed a platform technology that is able to greatly enhance the delivery of exon skipping oligonucleotides to both skeletal and cardiac muscle. This delivery platform can be applied across a range of exon skipping drugs targeting many different mutations. Q: We know it’s still early, but what has you particularly excited about the results you’re seeing so far? The delivery platform works by attaching a short protein (peptide) to the exon skipping oligonucleotide. Our most recent work has focused on refining the design of these peptides to develop a series of highly active, safe, and cost effective clinical candidates. The results of this work have been really promising, and we are keen to drive this work toward the clinic as quickly as possible. Q: So where are you now in your work to go from ‘great idea!’ to getting this into clinical trials? What is the focus of this grant? 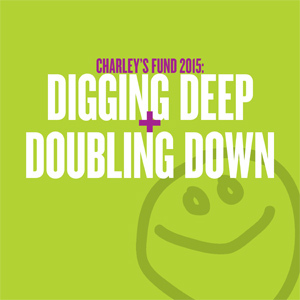 The funding from Charley’s Fund will accelerate our route to clinical trial. We have identified at least three novel series of delivery peptides. This grant will enable us to study the activity and safety profiles of these peptides in detail in order to identify candidates to take forward to the clinic. The results of these experiments should help us move forward not only on the research side, but also on the practical side of generating more investor interest to help us finance the next stages of development. With a wealth of pre-clinical data to demonstrate the power of our delivery platform to enhance exon skipping therapies, we are able to present the best possible case to potential investors. Our aim is to generate a compelling investment opportunity leading to the successful spinout of a biotech company (PepGen) which will enable us to get to the next step of assessing this technology in boys with Duchenne muscular dystrophy. On the research side, this grant is helping us narrow down a larger set of potential candidates to the few that are the most promising. Once we do that, we’ll then be able to better focus resources where it counts on the more extensive preclinical safety and efficacy studies that then help us pick which candidates have the best shot of working and should be advanced to clinical trials.